Sharon Gibbs (1969) was born in Yorkshire U.K. and immigrated with her parents to Australia in August 1971. It took until her children were grown and flown from the nest to discover her love for writing. After being given a book from a friend Sharon, fell in love with the world of fantasy. 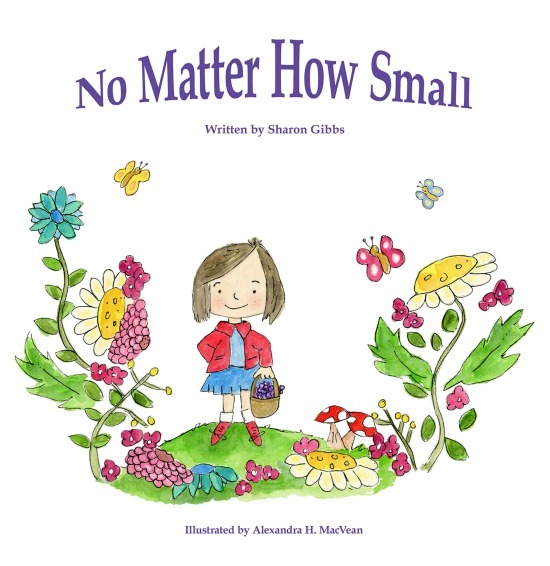 Sharon’s works now include a selection of children’s books. Lovingly crafted stories for you to share with a child. Working full time at the local hospital, she writes when she can. She lives in Adelaide South Australia on a small property with her husband and their four dogs. Born of prophecy, a boy is torn from the love of his family and 'Bound' with magic to survive. Christopher is hidden from those who seek to destroy him. Until a secret is revealed...a journey begins...and a choice is made. A choice which will be for all in the realm. Join Christopher and his friends as they hatch a daring escape, race with them across the country in a bid to save his love from certain death and find out how a secret will change the world they live in. Bound to Survive is a tale of wizardly love, war and intrigue steeped in a mystical age of magic. Christopher returns home and revels in the land’s new-found freedom but things are not as peaceful as they seem. For deep in the south, the sorceress Athena is conjuring plans to resurrect her dark Lord. As her newly created creatures terrorize the night, the wizards of Canistar are alerted to her devious scheme. In the battle to oust the dark Lord from their lands, the wizards and their army find themselves out numbered. Will Christopher make a mistake that will bring about the evil Lords destruction of the realm? Resurrection of an Empire is a story of the never-ending battle between good and evil. A tale of wizardly love, war and intrigue, steeped in a mystical age of magic. Being different can be hard, as Sarah knows only too well. Sarah’s best friend Sam helps her whenever he can, but being different can sometimes make Sarah sad. You see Sarah is small for her age and no one seems to know why. Even the Faye in the glen are puzzled. Until one day, a visitor comes to the woods. An adventure of courage, self-discovery and realizing being different, can be just the right thing. Do you ever go on adventures in your dreams? Meet Jay, Malakai and Liam, three brothers who while asleep travel to worlds real and imagined. As these boys three snuggle down in their big bed for three their dad reads them a bedtime story and soon they're off to sleep, dreaming their adventures of sailing the deep. Off to a far away island they sail and embark on a pirate adventure. Spying a horde of trolls the boys get ready to begin battle when suddenly the story changes. A fun, rhyming, bedtimes story with a lovely twist at the end.